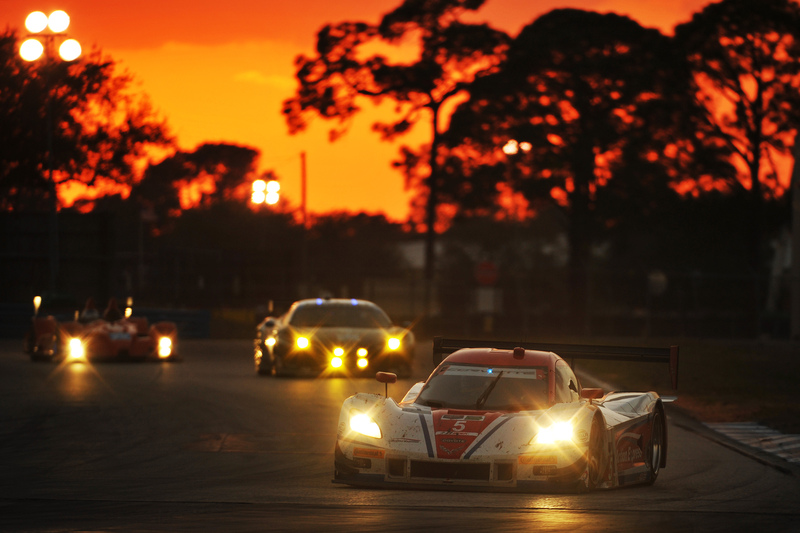 Sebring grows on me every year I travel down to that old airfield-turned-racetrack in central Florida. At first sight, the circuit is flat, gray and characterless. When fans start to arrive and camp, the backgrounds get cluttered with flags and campers. It’s usually oppressively hot and the cement slabs that used to be runways for WWII bombers only reflect the brightness and heat back up to your eyes and face. 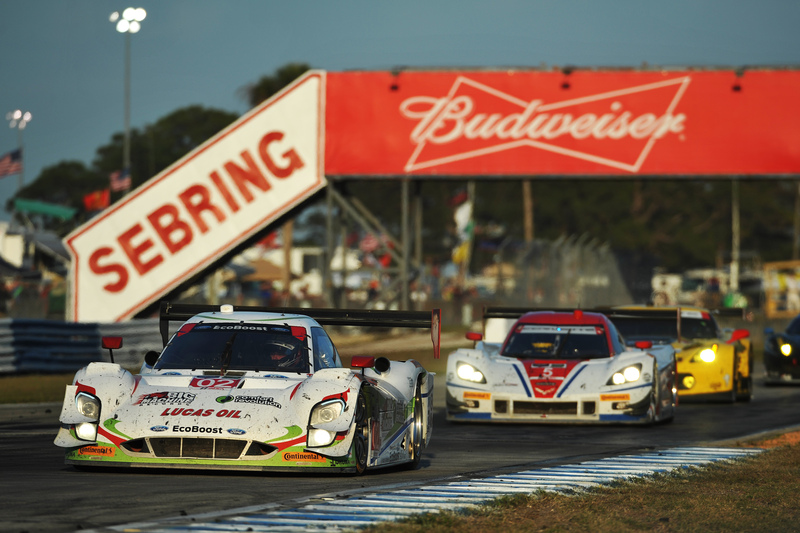 As I’ve noticed in my years covering the 12 Hours, Sebring is indeed a very picky place photographically, but at the same time when you get it right, you can get it epically right (weather permitting). In fact, Rick Dole, an outstanding photographer who has been doing this longer than I’ve been alive (sorry Rick! ), and I decided that of the 12 Hours, you really only need to cover 4 of them (start and last 3.5 hours) because the light and heat waves during the rest of the time makes for terrible photography. 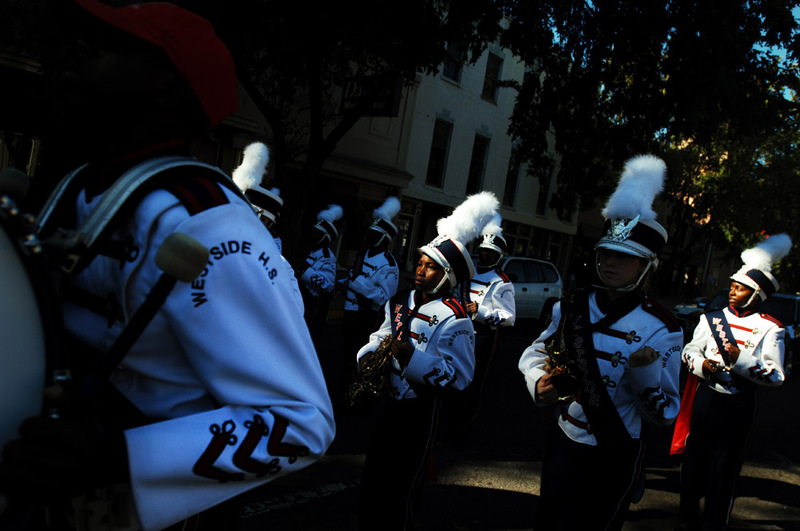 Members of the Westside High School marching band perform during the Veterans Day parade, Thursday, November 11, 2010, in Augusta, Ga. The weather was perfect, the light was nice, and the long shadows created by buildings and trees made for some different and exciting photos of an otherwise, and this by no means I don’t like them, completely overshot event in the photojournalism world: parades. 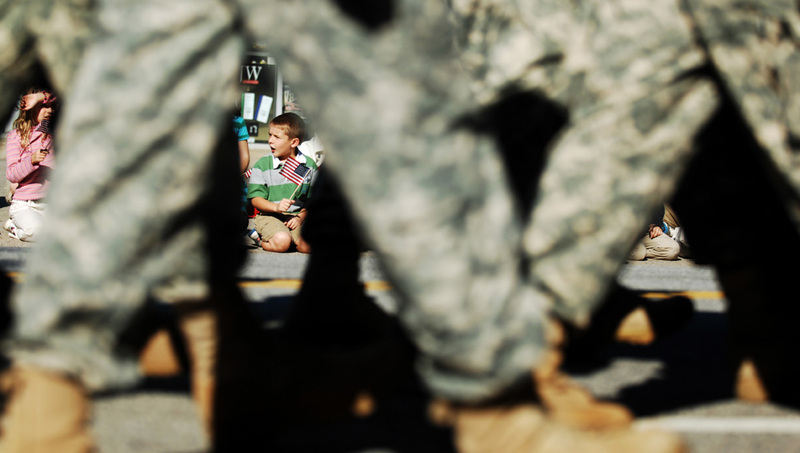 At first glance, anyone with a visual tendency will recognize that parades offer a range of things to shoot, no matter what it’s about – Veterans Day, Christmas, Thanksgiving, St. Patrick’s, whatever. People are dressed up, there’s usually floats, cars, happy onlookers, etc. The list is pretty long. Photojournalists take pictures of people doing things, and there is a lot of that going on at parades. So I guess that’s why parades remain probably the single most covered (in terms of photography) community events in the U.S. And as a result, original images are very hard to come by. Ask any photographer and he or she can give you a list of parade pictures they’ve shot or seen shot: candy throwing, Shriners doing donuts in go-karts, troops marching, bands playing, onlookers waving, parade walkers waving, drunk Irishmen waving, floats with people waving and in the case of Christmas, Santa waving. Done and done. Such is a pj’s life. 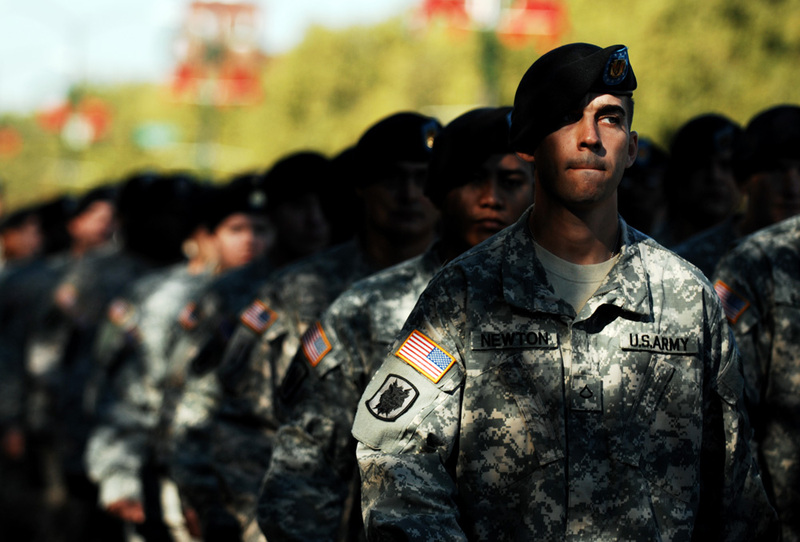 So, I went into yesterday’s Veterans Day parade expecting to find cliches and a mission to avoid them as much as possible. Luckily, the weather cooperated and the low humidity provided crisp sunlight and very blue skies – two factors that truly improve photos. This simultaneously energized me to find some new angles or moments, and made those cliche shots bearable to shoot, knowing they were at least well lit and purdy-like. So there you have it. 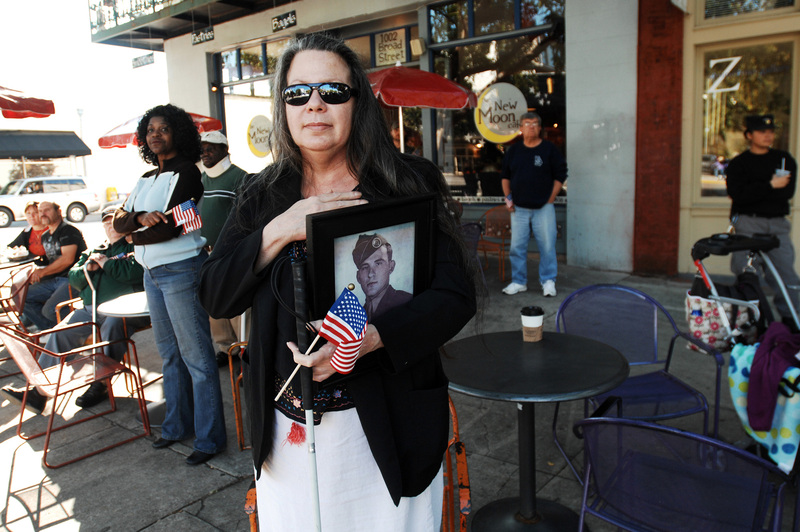 Another Veterans Day parade in the books. 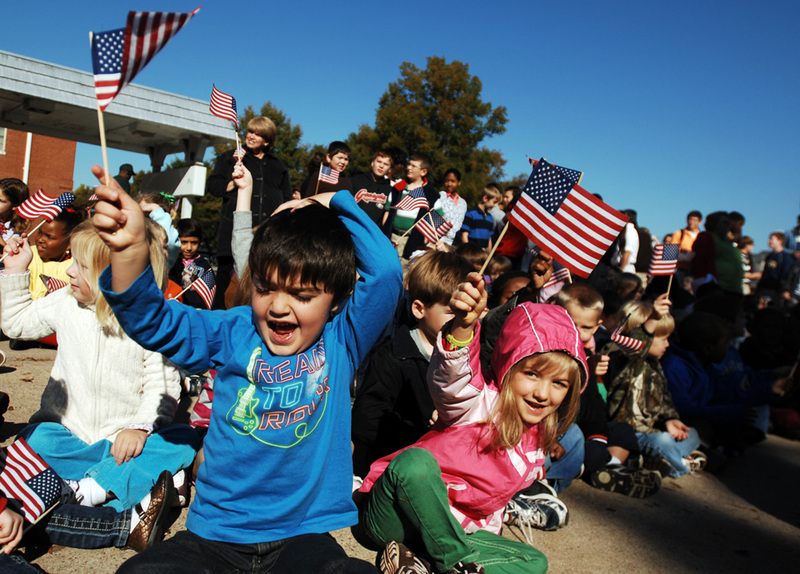 Children from Curtis Baptist daycare wave small American flags during the Veterans Day parade, Thursday, November 11, 2010, in Augusta, Ga.
Members of the military march during the Veterans Day parade, Thursday, November 11, 2010, in Augusta, Ga.
Patricia Haley holds a photograph of her father, who was a World War II veteran, during the Veterans Day parade, Thursday, November 11, 2010, in Augusta, Ga.
Students from Curtis Baptist Elementary watch the Veterans Day parade, Thursday, November 11, 2010, in Augusta, Ga. 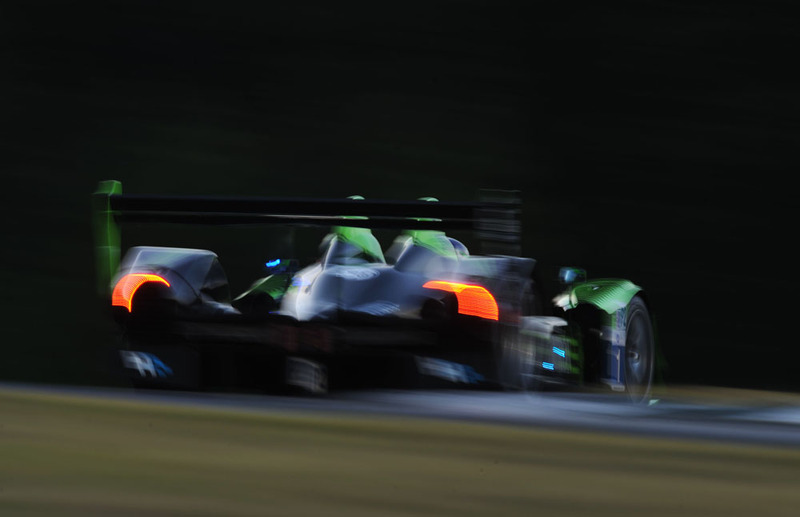 Here are a few extras from Petit Le Mans last weekend. 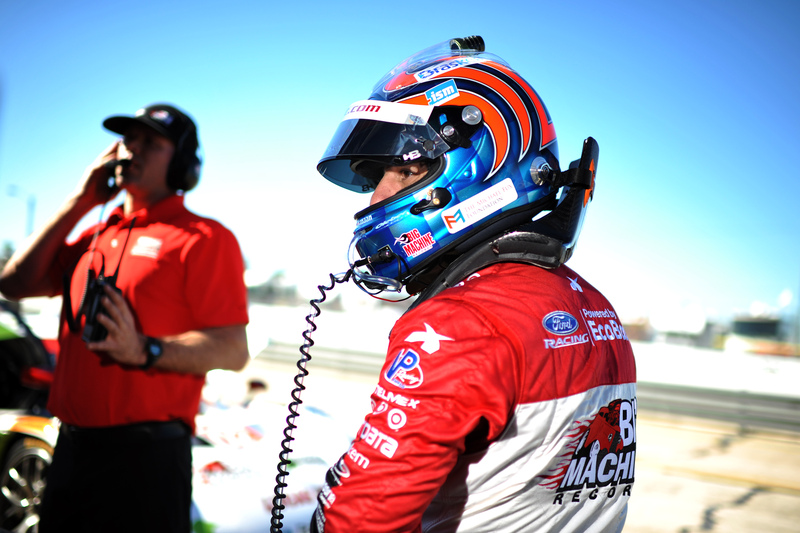 It’s such a hectic few days between what’s going on in the pits and on the race track, as well as editing and those pesky things called eating and sleeping, there’s barely any time to really get stuff together for a blog update. It’s go go go, edit and send, go go go, edit and send. I’m convinced I’d lose a bunch of weight if it weren’t for the Tostitos Eric and I continually munch on in the photo room (trailer really) as we edit. Some photogs listen to music on their headphones, others develop a case of restless leg syndrome – all in order to focus and do it fast. We just eat the crunchiest thing we can find. Hey, whatever works. Anyway, due to popular demand (ok, two people) here are more photos, with even more to come. 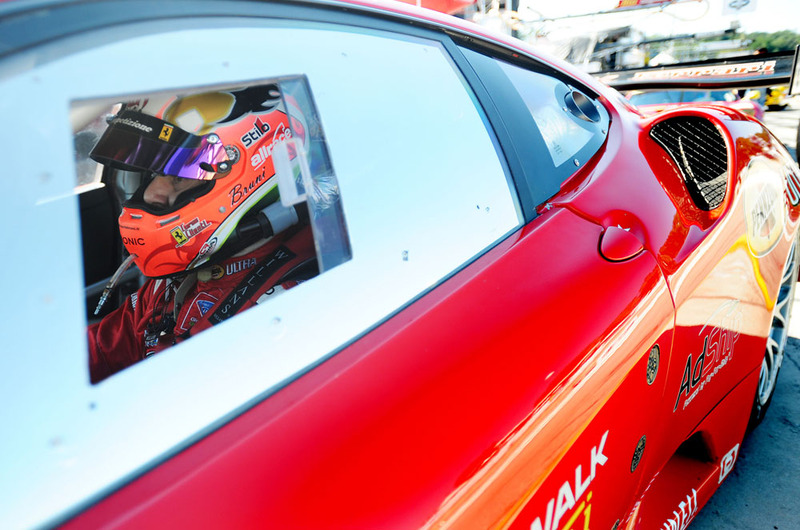 Oct 1, 2010 - Braselton, Georgia, U.S. - Ferrari driver GIANMARIA BRUNI, of Italy, waits for qualifying for the Petit Le Mans auto race in Braselton, Georgia. 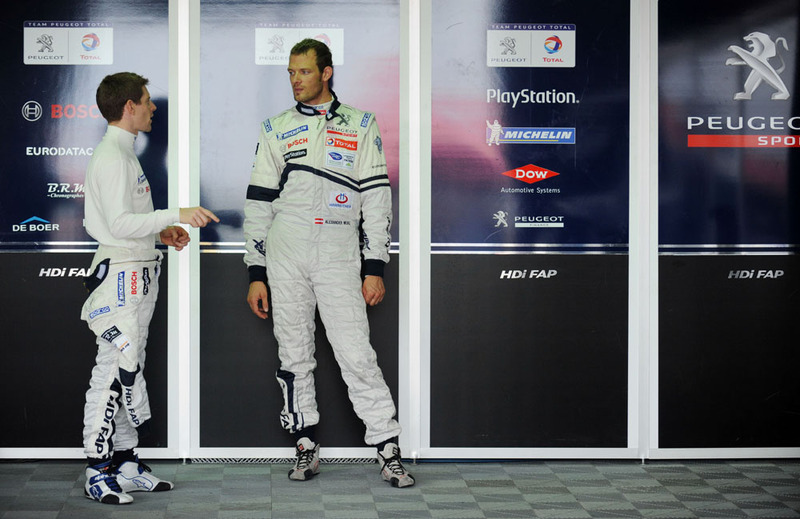 Peugeot drivers Anthony Davidson, left, of England, and Alex Wurz, of Austria, speak during practice for the Petit Le Mans auto race, Thursday, Sept. 30, 2010, in Braselton, Georgia. 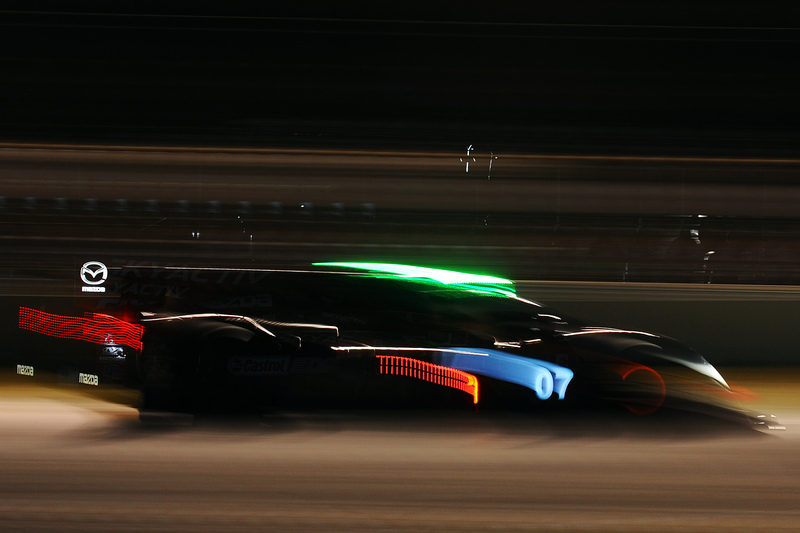 #1 Patron Highcroft Racing Honda Performance Development ARX-01c: David Brabham, Simon Pagenaud, Marino Franchitti during night practice for the Petit Le Mans auto race, Thursday, Sept. 30, 2010, in Braselton, Georgia. 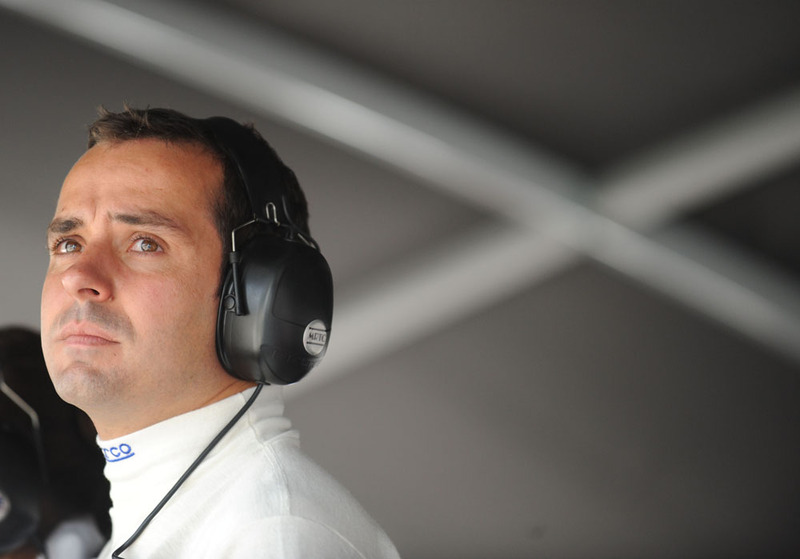 Audi driver Benoit Treluyer, of France, during practice for the Petit Le Mans auto race, Thursday, Sept. 30, 2010, in Braselton, Georgia. 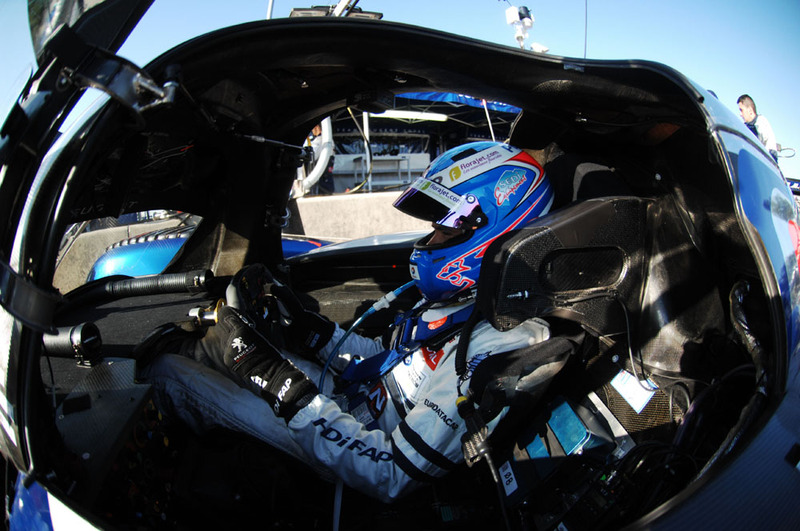 Oct 1, 2010 - Braselton, Georgia, U.S. - STEPHANE SARRAZIN, of France, waits in his Peugeot 908 race car during practice for the Petit Le Mans auto race in Braselton, Georgia. 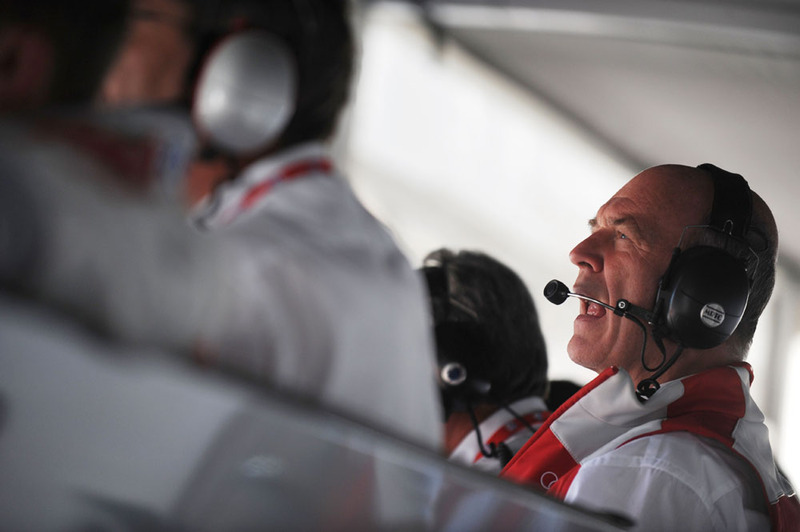 Oct 1, 2010 - Braselton, Georgia, U.S. - Audi Sport general director Dr. WOLFGANG ULLRICH, of Germany, during practice for the Petit Le Mans auto race in Braselton, Georgia. 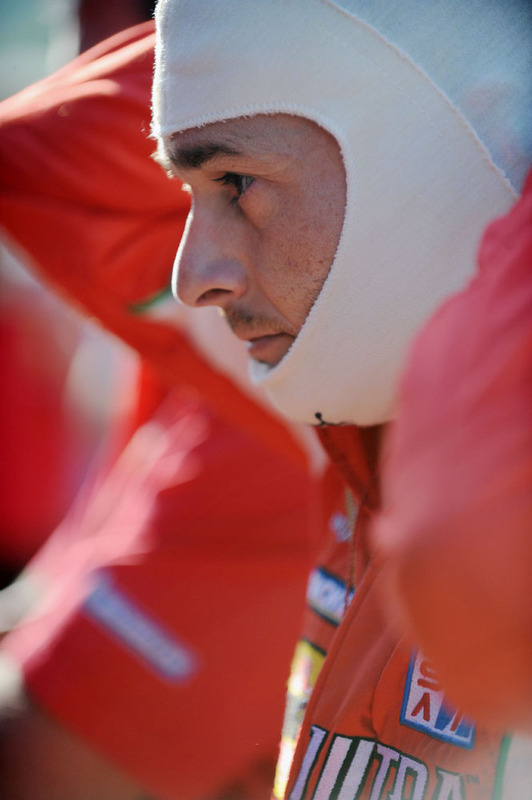 Oct 1, 2010 - Braselton, Georgia, U.S. - Ferrari driver GIANCARLO FISICHELLA, of Italy, during practice for the Petit Le Mans auto race in Braselton, Georgia. I had today off in exchange for working this coming Sunday where the main priority will be to catch (you guessed it) Tiger if he arrives early to register and to hit a few balls on the driving range. 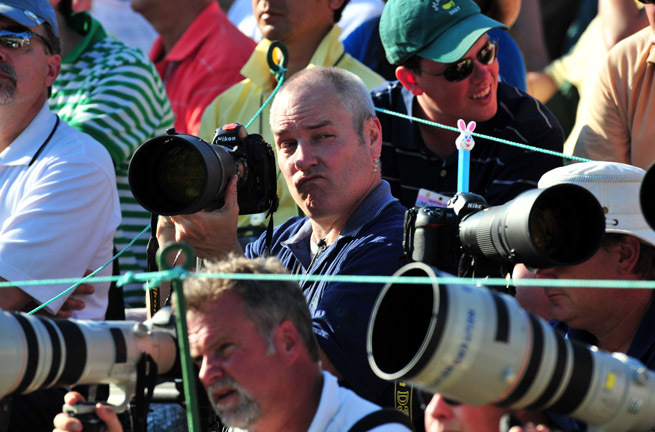 Therefore, I didn’t have access to any of our old Masters photos, but I did have this “fun” pic of fellow Chronicle staffer Michael Holahan taken during a break in the action last year on 18 green. Way to go goof ball. But that’s what the Masters is all about to me. 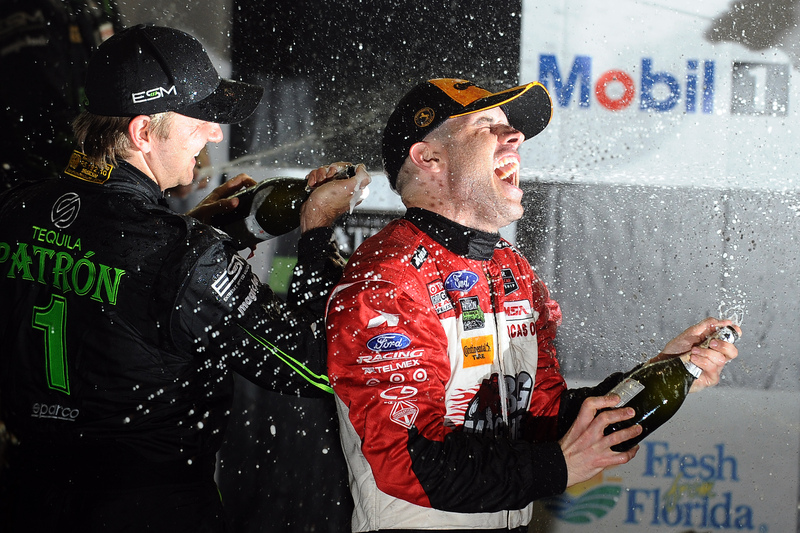 Extremely long hours mixed with moments of fun and excitement. This would be one of those fun moments. We have radios to keep in touch with each other (photogs and editors) so we can coordinate coverage over the expansive course. But sometimes we use the radios to make fun of each other or to make jokes. In the case of this photo, I shot a few frames of Mike while he was unaware of me, but then I came on the radio to tell him he’d been spotted. He finally found me and made a face. This is that face.